While we leave behind the first week of May, we will take a look at the biggest, most epic online slot wins on our forum. So it's time for the latest “Community biggest slot wins” segment. Like any previous week, our members have filled the CasinoGrounds Forum with huge casino slot hits, crazy bonuses and fantastic free spin rounds. Today we bring you the best of them in the form of 2 amazing compilation videos. So make sure to check them both! 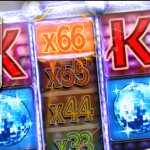 And as always, if you like any of the slots featured you can find them on Rizk, or any other big casino. Today we have two compilation videos. The first includes only clips of online slot big wins. All the clips are impressive, starting with a crazy bonuses on the Secret of the Stones slot machine which you can find on Trada Casino. Then the clips continues with the Holidays Season and the Book of Dead slot games. Both slot games you can find in almost any major online casino, like redbet. And for those who like some Novomatic! The compilation also includes two amazing free spins rounds on the Book of Ra 6 and Faust slot machines. Try them both, along with every other Novomatic online slot, only at OVO casino. However, we always save the best for last! - And this week’s highlight is an insane bonus on the Cops and Robbers online slot. The win is out of this world, but we won’t say much as not to spoil it. When it comes to wins that grounders have sent us as screen shots! – We haven’t forgotten about those either. The second compilation video focuses entirely on them. The wins here are more diverse, coming from a variety of slot games on different online casinos. – MrGreen online casino and Cherry Casino just to name two. We will post the second clip on our CasinoGrounds Facebook Page so keep an eye out for that as well. Both our Compilation videos cover wins posted between the 28th of April until the 4th of May 2017. If you have a big win that you’d like to be featured, don’t hesitate to make a post about it in CasinoGrounds Forum. Keep in mind that the more spectacular or impressive the win is, the bigger the chance it has to be part of the next video.